It's that time of year again! The Haunted Faire has returned, Bart is handing out new prizes at his apple bobbing booth, and Saskia's rickety cart is back on the map. Keep checking back for daily updates - I try my best to keep up with the events in real time. If you spot something on this page that is out of place, missing, or mislabeled, don't be afraid to neomail me! Follow this link to my userlookup. I'm sorry, I can't keep up with this right now. Hurricane Sandy and all. 10/27/12: Day 2 of Masks of Dread! First, head to Saskia's Cart and select any mask. Then, head to Moltara and visit Lampwyck's Light Fantastic. Next, head to the Petpetorium in Moltara. Finally, head to the Moltaran Town Hall, and back to Saskia. 10/25/12: Day 1 of Masks of Dread! First, head to Saskia's Cart and select any mask. Then, head to the Wishing Well and make a wish! Next go to the Defenders' Page, and finally, Back to Saskia. Enjoy your first bunch of prizes! 10/17/12: The Haunted Haire is back! Click here to visit! Also, just to clarify, the Treat Bag and Background previews being shown on fan sites are not obtained by bobbing for apples. The bags and backgrounds are not yet available. There are, however, some new apple bobbing prizes! It seems that the 'Masks of Dread' event will also be returning this year; according to Jellyneo, the names of the upcoming masks are 'Tribal Mask,' 'Random Mask,' 'Funny Mask,' 'Combo Mask,' 'Evil Mask, and 'Pretty Mask. Jellyneo and TheDailyNeopets have also both posted sneak peeks of the upcoming Trick or Treat bags, and the backgrounds that you could find inside! 09/03/12: Prize lists fully updated and searchable by CTRL+F. Pro-Tip: Move your items from your inventory to your Safety Depost Box. Your careless pet might "drop" an item into the barrel. Pro-Tip: You can still lose Neopoints even if you have 0NP on hand. You will get -###NP as a result, should a band of thieves rob you while you're bobbing. Click here for alternative healing options. * Minor Healing Ointment may take multiple uses. To unlock the "Imposter Apple" avatar, you must receive an Imposter Apple from the Apple Bobbing daily. Click the link above to go now! Another method is to have an Imposter Apple in your inventory when you go bobbing for apples, and hope that your inattentive pet drops it into the barrel. The avatar is randomly awarded. These prizes are exclusive to the Apple Bobbing daily. All Neopets images made by Neopets.com. All other images made by myself, unless otherwise specified. All "Listed At" buttons made by their respective sites. Neopets.com images used to make banner, made by myself. 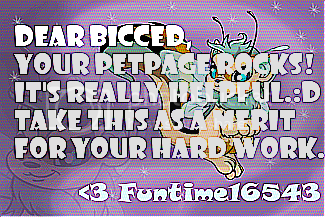 Thank you, bicced, for your participation and support.